Posted on December 10, 2018 by dressings. Absorbent dressings are designed to heal heavily exuding wounds and protect them from environmental bacteria. They absorb a large amount of exudate and seal them inside. They provide a good wound-healing environment and speed up the healing process. 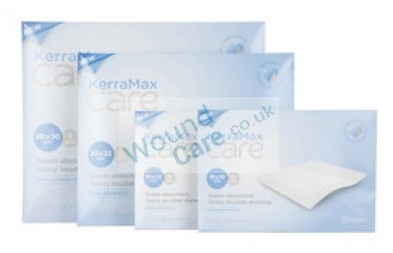 Wound care offers you an effective healing solution for heavily exuding wounds, KerraMax Care Dressings. What is KerraMax Care Dressing? 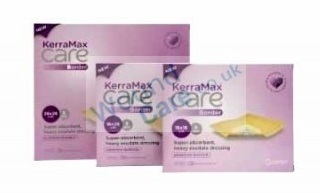 Kerramax Care Dressing is a superabsorbent dressing that reduces the amount of MMPs and exudate. It shields the wound from bacteria and creates an excellent wound healing environment. This soft and comfortable dressing is ideal for use under a medium compression bandage. It comes with KerraMax Care Border Dressingsto keep it secured in place. The adhesive borders lock exudate inside the dressing and prevent leakage to keep them dry. Where to use Kerramax Care Dressings? Where not to use Kerramax Care Dressings? Wound Care has a variety of dressings and bandages for any wounds. Check out the official website- wound-care.co.ukto provide you with immediate and effective medical care.